Best access from Kansai and Chubu regions! Favored with special weather conditions we provide exceptional amount and quality of snow. You can even enjoy powder snow. 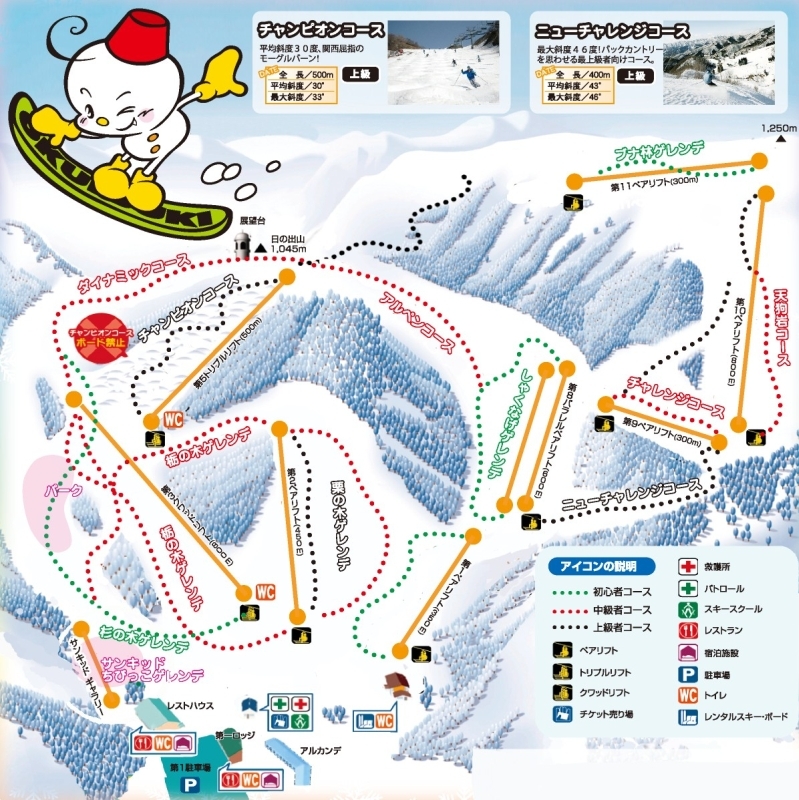 We provide the biggest scale in the Kansai area on a wide range of different slopes kept in their natural shape. 12 slopes provide unlimited fun for beginners as well advanced skiers and snow boarders. You can also enjoy a terrific panorama view from Lake Biwa to the Northern Alps and so called “Snow Monsters – frost covered trees” are waiting for you.